Bhasmas & Pishti are basically the incinerated/calcined products of the different metals and their use in curing different ailments dates back to 2nd century in Samhita period. But with the formal introduction of the Rasa sastra by the Siddha Acharyas like Nagarjun and its further elaboration by Rasa Vagbhatta in 8th century it became the mainstay of the clinical practice of Ayurvedic physicians. 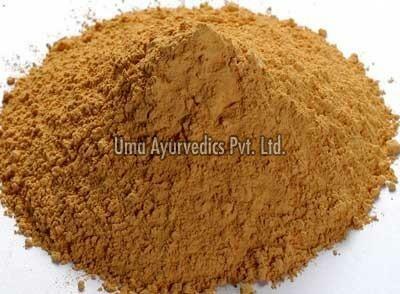 In fact it is the basic ingredient of different herbo-mineral preparations that are used by the Ayurvedic physicians in day to day practice. The process of the manufacturing Bhasmas viz marana is preceded by the process of sodhana i.e. purification which removes corporeal or incorporeal adulterations, detoxifies the metals, increases the fragility and potentiates the therapeutic quality. The marana i.e. Ayurvedic calcinations/ incineration converts hardness, roughness and heaviness of the metals in lightness, softness and sliminess. The process is known to disintegrate macro particles in to micro particles and make the substance inert, organic, potentiated, colloidal and ready to be digested, absorbed and assimilated in body. Pishtis are the therapeutic agents introduced primarily by the Unani physicians and are prepared by lavigating the minerals in crucible after physical and organic purification and detoxification followed by impregnating the powder thus obtained with rose water. Preparation of the economical but qualitatively authentic and therapeutically effective Bhasma & Pishti is a tedious process and needs continuous practice & comprehensive practical knowledge of Rasa sastra and expert guidance of learned Rasa vaidyas (persons who have sound knowledge of Hindu metallurgy). We, at Uma Ayurvedics Pvt. Ltd. produce cost effective Bhasma & Pishti without compromising quality, authenticity and therapeutic efficacy. Uma Ayurvedics Pvt. Ltd. assures that Bhasma & Pishti offered by us are scientifically validated on numerous parameters for their quality, authenticity, non- toxicity & therapeutic efficacy. The comparatively low cost is an added bonanza. We specialize in offering Abhrak bhasma, Akik Bhasma, Godanti Bhasma, Loh Bhasma, Mandur Bhasma and Muktashukti Pishti. Faulad Loh Bhasma Fever Ay. S. S.
Loh Bhasma (100 Putti) Anaemia & jaundice, Intestinal Parasitic manifestations Ay. S.S.
© Copyright 2009 - 2010. Uma Ayurvedics Pvt. Ltd.